After months of talking about it, I can now report that Atlanta-born photographer Jeannette Montgomery Barron's series, My Mother's Clothes, is on view at Jackson Fine Art and will remain through August 28 2010. This body of work began as a sort of personal scrapbook created by the artist to aid her mom's failing memory as the cloud of Alzheimer’s set in. 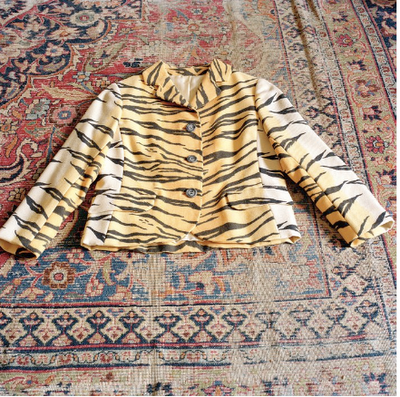 But Barron ultimately went further, juxtaposing the clothes, accessories, and other personal belongings with textiles that held layers of meaning for the woman who had long been considered one of Atlanta's best dressed philanthropists. (I offered more background in this original post.) Like Tom Ford's A Single Man, the exhibition seems to me to be about appreciating small moments. Obviously fans of vintage couture will respond to it, but I think it will resonate with anyone who studies photography. And a reminder: Chinamania: Whistler and the Victorian Craze for Blue and White opens at the Freer Gallery on August 7 and continues through early August 2011. 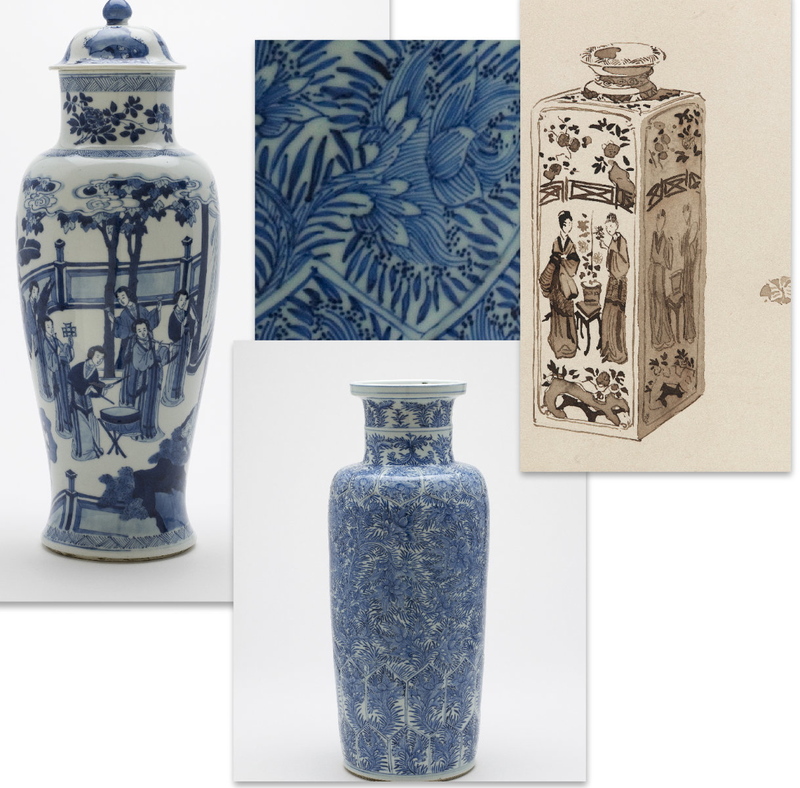 The show explores the craze for blue-and-white Chinese porcelain in London in the 1870s, a phenomenon artist James McNeill Whistler -- an early collector of Chinese porcelain himself -- helped spark. More about the exhibition here. I thought I'd hit the jackpot when I was browsing SRI's small online bookstore and came across a special issue of the Japanese magazine, Taiyo, focused on the Edo Period craze for Indian export cloth. Turns out the issue was sold, but it's always a treat to explore the Brooklyn-based textile gallery. Highlights include old Japanese utilitarian textiles, specifically indigo-dyed cotton, and in the Indian section, some breathtaking kantha and bandhani. 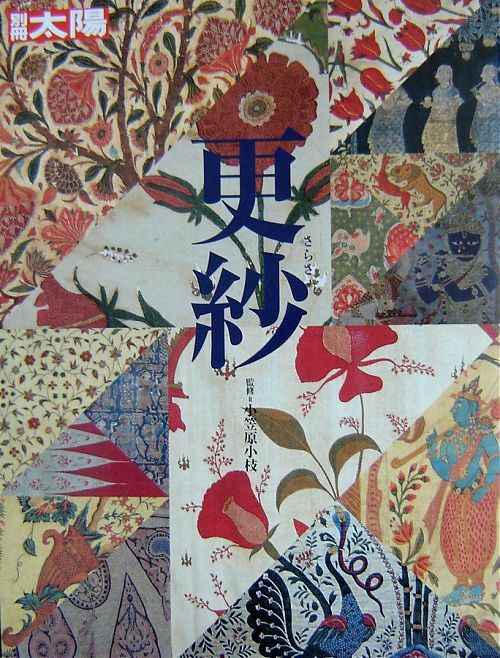 The image at top reminds me to mention Fashioning Kimono: Art Deco and Modernism in Japan. 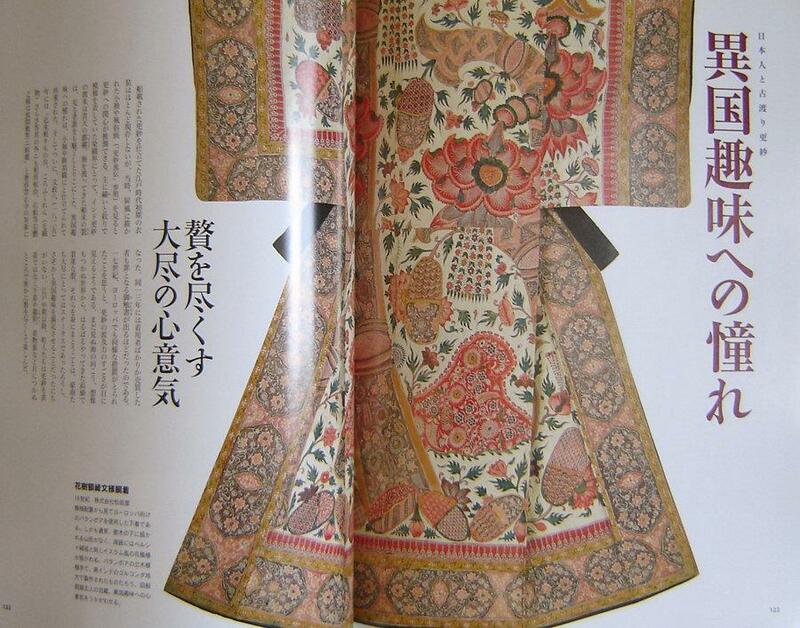 Opening at the Birmingham Museum of Art Saturday, July 31, this exhibition looks at the Japanese fashion icon with examples from the late 19th and early 20th centuries. 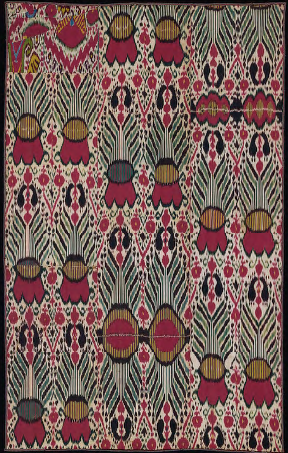 Textile artisan and scholar, Annie Van Assche, visits Sunday, August 1 to present a free 2 p.m. lecture: The Kimono and Western Dress in the Early 20th Century: A Revolution in Fashion. She will share how Parisian fashion designers, including Poiret, Vionett and Chanel, took inspiration from the kimono’s straight lines and created avant-garde clothes without traditionally cumbersome corsets and bustles. 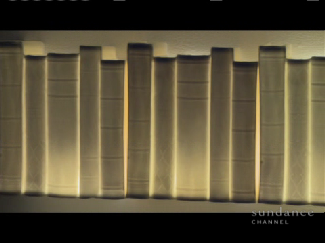 The show runs through October 10, 2010. More museum news: MODA (Museum of Design Atlanta) is currently offering a special discounted membership. 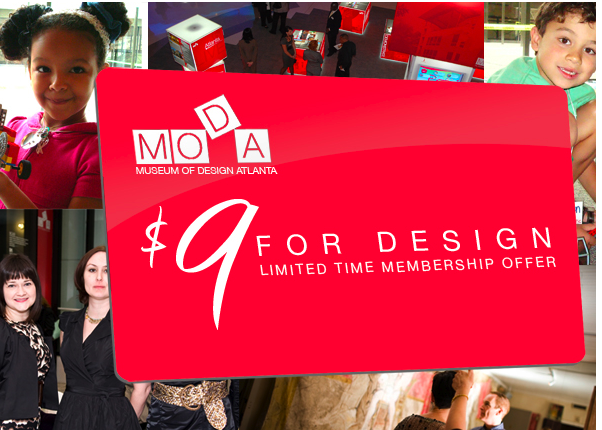 For less than the price of general admission at most museums, or the rough equivalent of a movie ticket, individuals can join and receive: unlimited free admission; invitations to previews; free or discounted admission to MODA special events, lectures, workshops, and films; and 10% discounts on Museum merchandise and catalogs plus other benefits. Dual memberships cost $18 and family memberships cost $27. 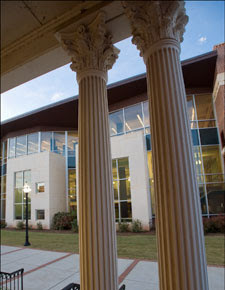 A little update on that GCSU Museum fall exhibition mentioned here the other day: Curator Shannon Morris has posted the official date of the opening reception, September 15 from 5 p.m. to 6 p.m. Also, Mickey Smith's work will be exhibited concurrently with Stories by Jessica Bruah. Click here for more on the literary themes that weave together the two exhibitions with the Milledgeville, Georgia school. Book-inspired fine art and design seem to be all around me this week. If you're keeping up with Keith Johnson on Man Shops Globe, Wednesday's episode takes place in Sweden where he pops in on "The Marias" and their porcelain books. 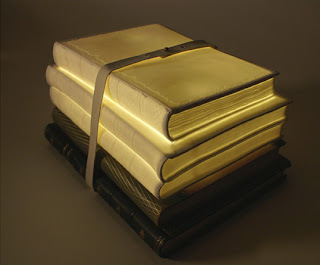 Shown above, Maria Olevik's and Maria Larsson's functional piece, a limited edition light made from ceramic books combined with real antique books bound together with a leather strap. 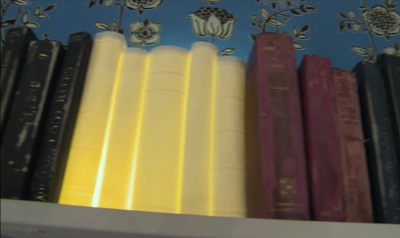 And more old editions. 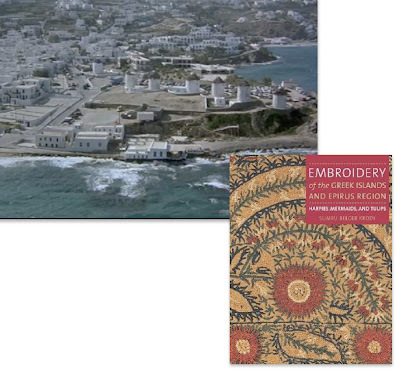 AbeBooks.com has gathered together an assortment of vintage travelogues, many with striking covers. 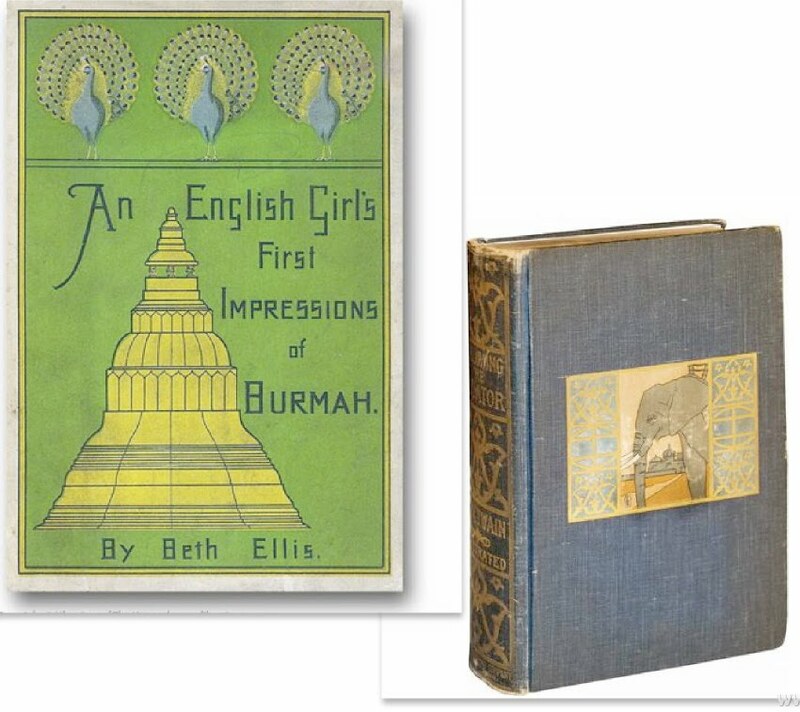 Two designs that jumped out at me: the covers for An English Girl's First Impressions of Burmah by Elizabeth Ellis, and Mark Twain's Following the Equator. 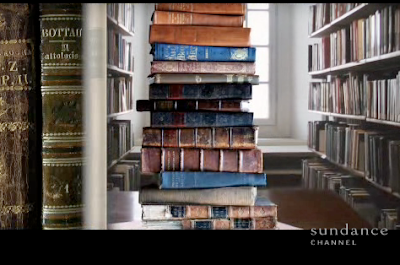 Both were originally published in the 19th century. Truth be told, I know very little about the contents of Ellis' but, again, I'm fascinated by antique book design. For all the times during the run of When Gold Blossoms: Indian Jewelry from the Susan L. Beningson Collection when I posted and re-posted that 19th-century bracelet with wave pattern (shown above, lower left), I never remembered to link to another stunning example of Indian craftsmanship discovered in Ralph Lauren's Gift Vault by Mrs. Blandings. 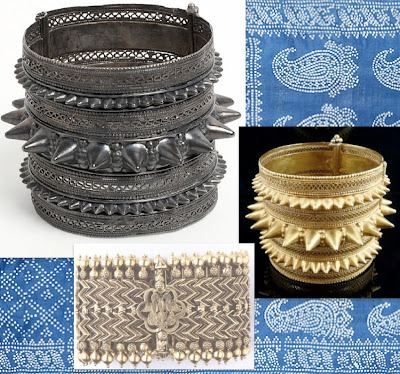 Pictured above on the right, Ralph Lauren describes it as an intricate, circa 1850, Indian wire-work spike bangle, handmade in 22-karat gold as a gift to the wife of a British army general. 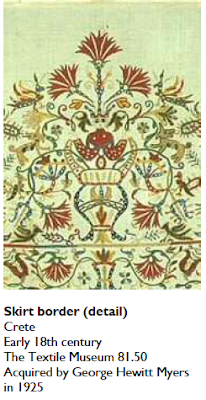 The company also notes that a similar piece belongs to the V & A in London. I had to check that out. Wow. This must be the one. We get to see nearly identical designs in both silver and gold. 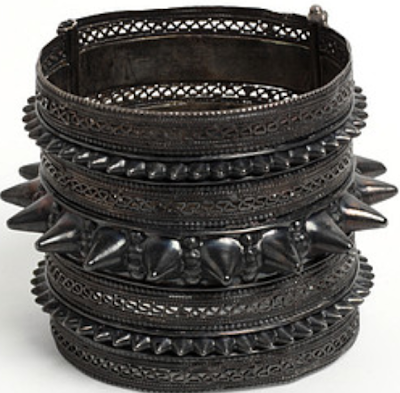 The V & A's piece is silver, late 19th century, with a label that says it was 'made by the natives at Zanzibar by order of the late Sultan, and brought to England by his friend the late Monsieur J.B. Camosin'. Its delicate filigree decoration makes a nice foil for the bold spikes. 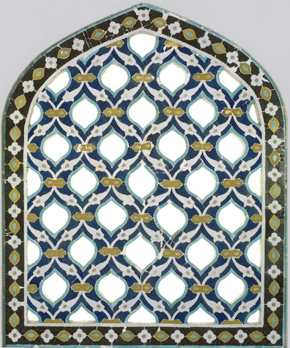 According to the museum, the Zanzibar archipelago's distinctive history involving international trade shaped Zanzibari arts with visible Indian, Portuguese, British, Persian, Arab, and African influences. 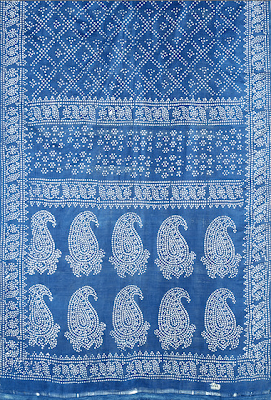 I added the V &A's late-19th-century (but new to me) Indian sari to the mix, in part because of the timeline, but also because the boteh (stylized leaf or tear drop shape, now commonly called paisley) with border reminded me of my linen slipcover. 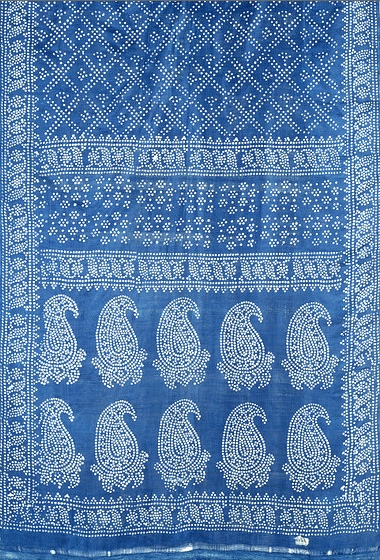 The silk sari was discharge-printed in imitation of tie-dye with small white spots on a blue ground. 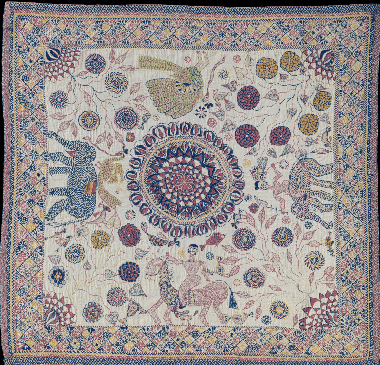 Peter Dunham's Kashmir Paisley is aptly named because the boteh motif is closely associated with North India, specifically Kashmir, says the V & A. 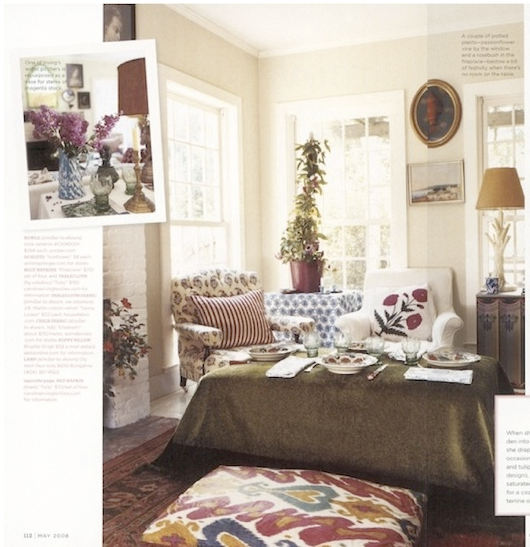 By the way, to see the border on PD's linen used with punch, check out the poufs in Kristen Panitch's Palisades Riviera project. Curator Shannon Morris is at it again, bringing the less expected to Georgia College Museum in Milledgeville. And I have to say, I'm definitely jazzed about the show she's organizing for fall 2010: Mickey Smith: Collocations. I'm a long-time fan of the conceptual artist's photographs. In her work, Smith documents the types of bound scholarly journals and periodicals that public libraries are now replacing with digital versions. 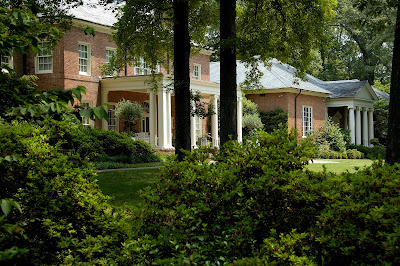 Morris was drawn to the idea of highlighting Smith's work, in part, because of the school's literary roots; Flannery O'Connor is an alumna and the museum houses a gallery dedicated to the Southern author. 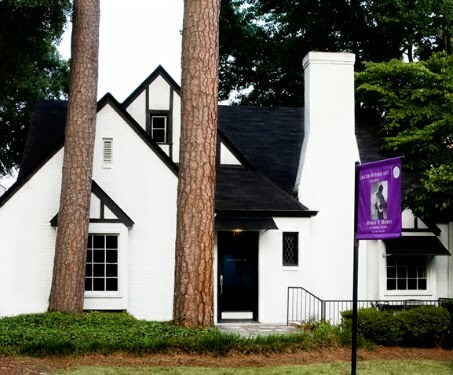 The Georgia College exhibition is scheduled to be on view September 15 through November 19. It's been a great year for Smith. 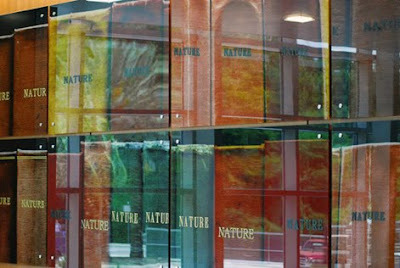 Recently, Americans for the Arts recognized her first major public artwork, a permanent glass installation at the University of Florida, as one of the 40 Best Public Artworks created or debuted in 2009. See more here and here. 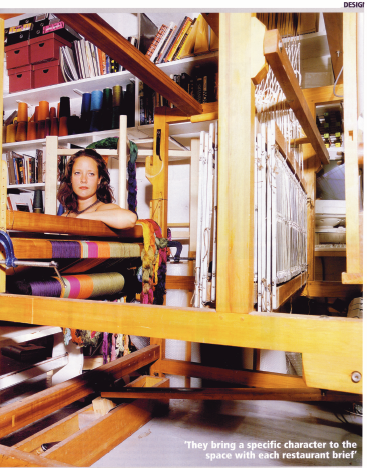 Anthropologie and the Dixon are teaming up for a celebration of women artists, Wonderland, on Friday, July 30 from 6 to 8 p.m. The festivities will include an Anthro fashion show, wine tastings and pairings, giveaways, and live music from Valencia Robinson. Tickets are $30 per person. 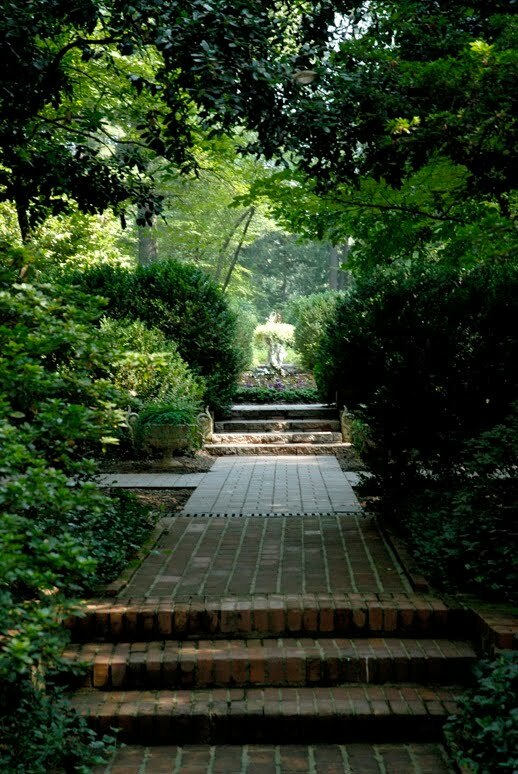 Occupying a spacious John F. Staub-designed house and verdant surrounding grounds in Memphis, Dixon Gallery and Gardens opened to the public in the 1970s. 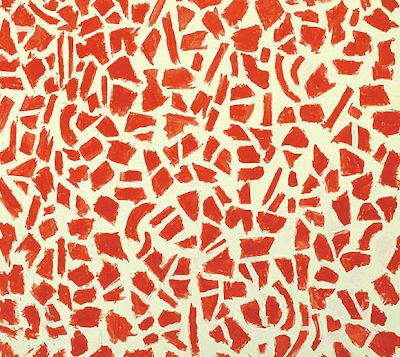 This summer the museum has brought into focus the work of several persevering artists. 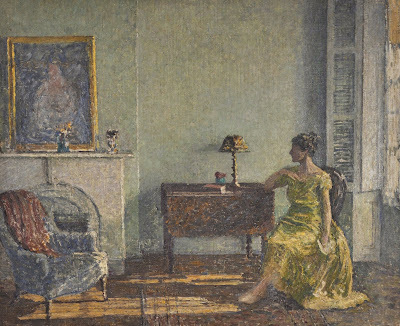 Just to name two, Helen Turner (1858 - 1958), the well-known painter from New Orleans, and Clare Leighton (1898 - 1989), the British printmaker and illustrator, are both highlighted in eponymous retrospective shows. 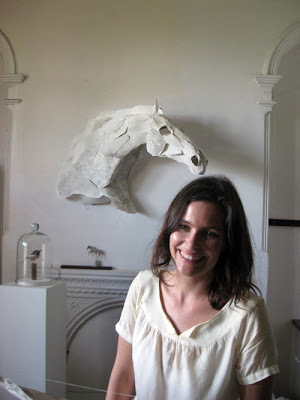 With Anthro's continuing interest in women artists, the Dixon event seems like a natural fit. I think Wonderland will help introduce younger guests to previous generations of artists with ties to the region. 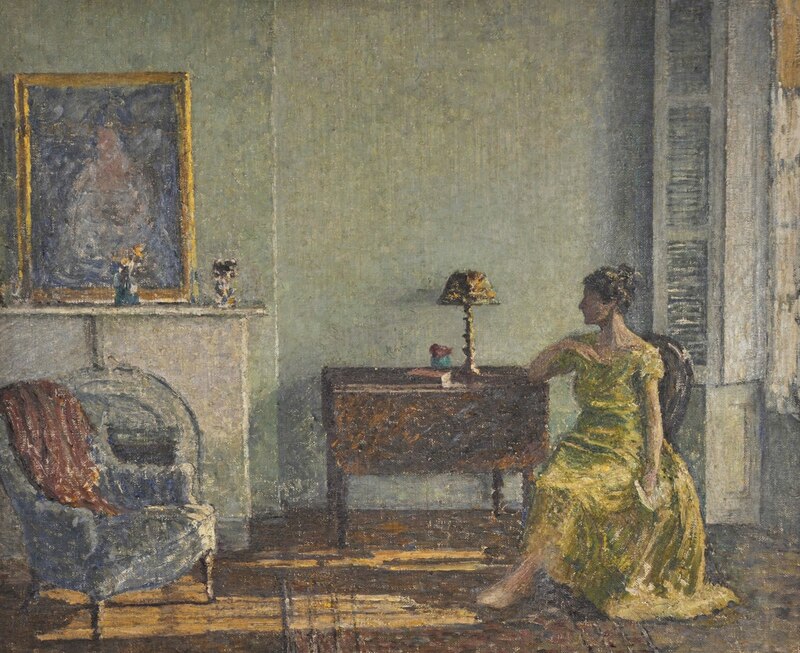 Although Turner's skillful, impressionist and representational paintings of interiors and domestic scenes may, at first glance, seem docile to contemporary audiences, she clearly had an adventurous, determined spirit to pursue an art career in the late 19th century. 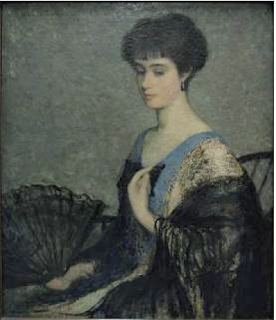 Her formal studies began with the New Orleans Art Union, and after years of working to earn her own money, she headed to the progressive Art Students League of New York where she was guided by William Merritt Chase. Always challenging herself, Turner also took advantage of free courses at the Cooper Union School of Design, completing her academic training when she was nearing middle age. Today her work can be found in the permanent collections of museums including the Met, the High and the Morris. 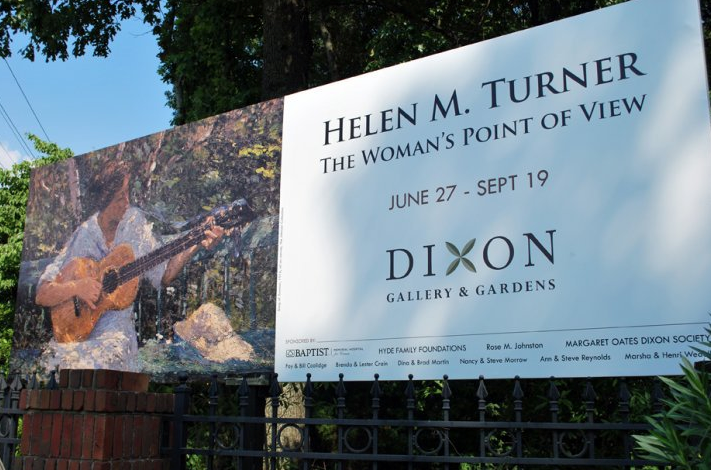 Looking through the Dixon's exhibition catalog, I was especially struck by Turner's lovely sense of color. More background is available here. 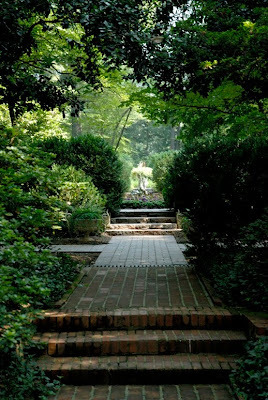 If you're thinking of visiting Charleston, South Carolina in the fall when the heat subsides, consider a stop at the Gibbes Museum of Art to see Face Lift, an upcoming exhibition on view September 3 through December 5, 2010. Many strong portraits are part of the museum's permanent collection and Face Lift will juxtapose the old with the contemporary, exploring trends in American portraiture from the 18th century to present day. 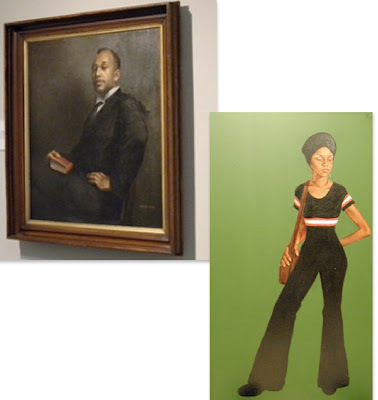 The striking 1921 portrait by Edwin Harleston, shown above on the left, is actually on view right now as part of a summer installation of the artist's work. It's on loan from the Ledbetter family and is scheduled to remain in the gallery through August. Barkley Hendricks' Ms. Johnson, pictured right, has been on the road for the touring show Birth of the Cool, but she calls the Gibbes home. 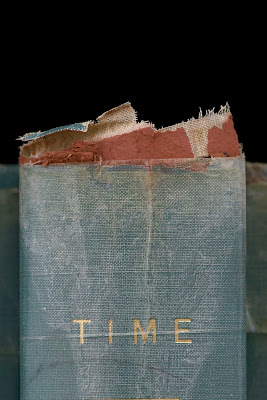 While I'm fascinated by portraits, regular readers know that I also have a mini obsession with book covers from the 1960s and early 70s that eschewed faces of people in favor of graphic typeface. (Examples here.) So, when I was flipping through the most recent issue of Selvedge and noticed a review for the art history/textile history book, Whole Cloth, I paused. 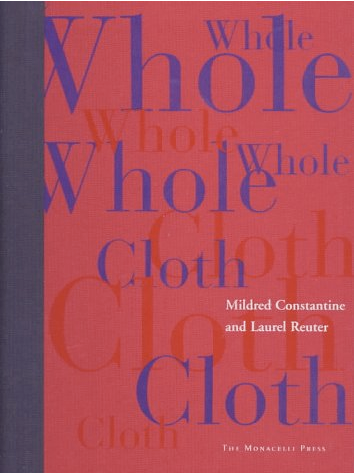 Published in 1997, Whole Cloth examines a lot of territory: the authors explore the history of cloth itself and how fine artists such as Picasso began using fabric in modern mixed media works. Like The World in Vogue design, the Cloth cover doesn't highlight an individual and it leaves much to the imagination. Is the red very tactile? Not sure. Normally I stick to describing books I own or have seen in person. Whole Cloth I've not touched yet; just wanted to share an image of the design. From Sunday, August 1 through Tuesday, August 31, Heath Ceramics Los Angeles will be collecting dinnerware donations in exchange for 25% off any corresponding piece of Heath dinnerware. That means that if you bring in ten of your own dinner plates you will receive a 25% discount on ten new Heath dinner plates. Alternatively, you could bring in six mugs to receive 25% off six new Heath mugs. Get the picture? The beneficiary of your donations gathered by Heath will be the Skid Row Housing Trust. 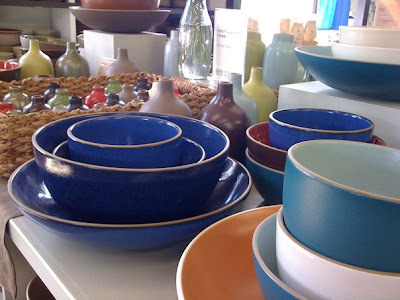 Not long ago, two friends of this blog, Molly Luetkemeyer and Ruthie Sommers, contributed to Skid Row's recent endeavor, The New Carver Apartments, and now the dinnerware brought to Heath's L. A. location this August will be placed within one of Skid Row's community kitchens or with one of their newly housed disabled individuals. To use Martha's words, it's a good thing. So, the guys deserve some attention for their stitch craft too. Last week I was in the mood to post a few antiques suggestive of Master and Commander, but when I began searching for seafaring items to use in another post, I stumbled upon "woolies." 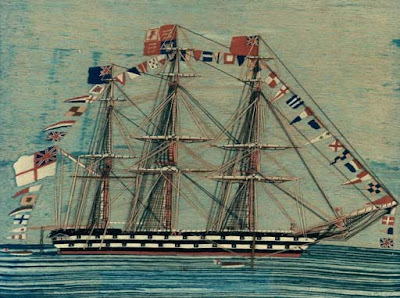 Woolies, or sailor's wool work pictures, are embroideries of marine vessels (and in some cases patriotic symbols, such as flags) done by Navy men aboard ship or after retiring from active duty. According to dealer Paul Vandekar, most woolies were made from the mid-19th century on through to World War I, when they went out of vogue. 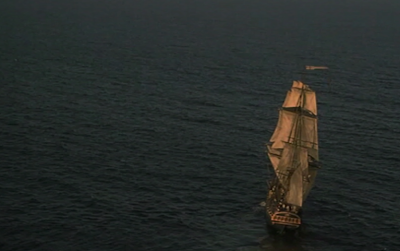 That dates them after the Master and Commander era. 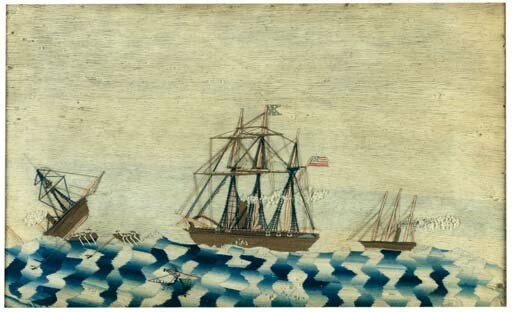 Still, the graphic nature of these folk pieces -- oceans interpreted with stripes and zig zags -- caught my eye. 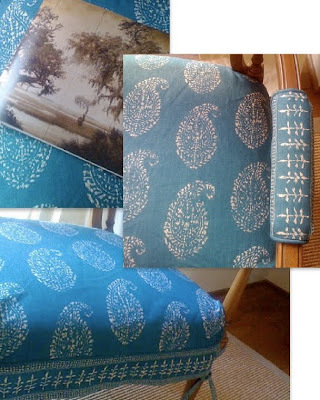 BTW: I decided to update the Oasis post with a smattering of images representing interiors from the past six years or so. 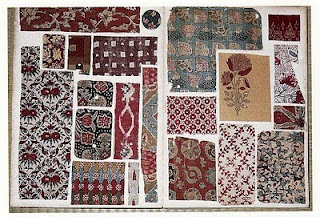 In organizing the Textile Museum's big fall show, Colors of the Oasis: Central Asian Ikats, I think the curators want to emphasize the phenomenon of the textile's longevity, and how it reemerges during different decades, so it seemed natural to round-out the post with samples from recent years. 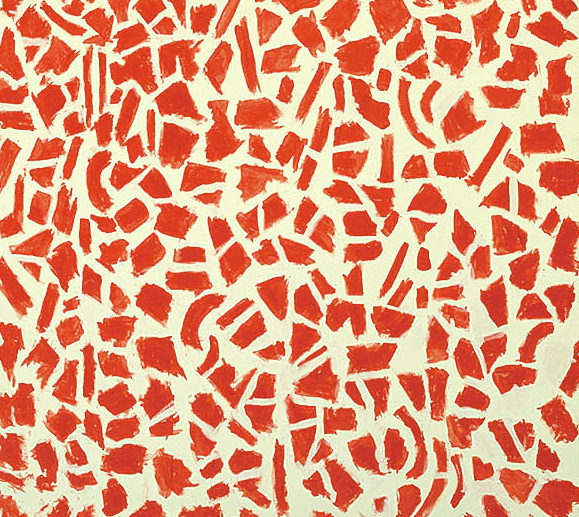 I've mentioned Alma Thomas' work several times in the past, specifically Red Azaleas Singing and Dancing Rock and Roll Music. 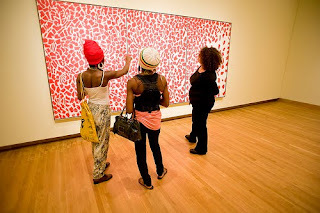 So, I smiled when I noticed the painting recently traveled from the Smithsonian to the Nasher in North Carolina for the exhibition, Color Balance: Paintings by Felrath Hines and Alma Thomas, on view through September 5, 2010. There's a great candid shot of a museum visitor in front of the piece here, and a larger array of Thomas' lively nature-based work can be seen here. Her life story and paintings are described for kids in a relatable way here. Traveling from the 19th century to the 21st, I thought I'd follow up on the last batch of posts with a link to London-based contemporary artist, textile designer, journalist, color consultant and home cook extraordinaire, Ptolemy Mann. 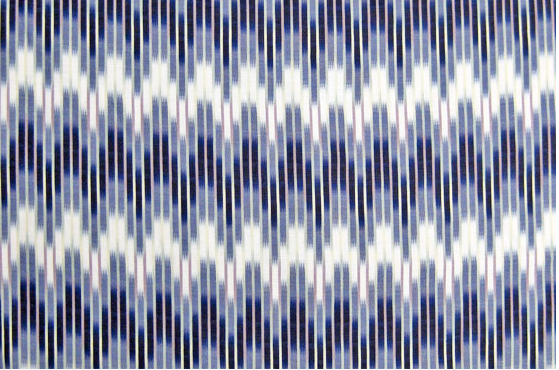 After seeing the Colors of the Oasis preview, it's especially interesting to look at Mann's hand-dyed and woven textile art, as well as her digitally printed linen "Ikats" for Christopher Farr. 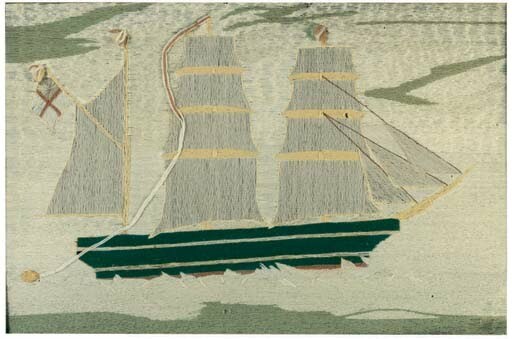 Although her woven panels are modern in style, the process behind them is distinctly old-school, involving weeks of strenuous activity at her enormous loom. 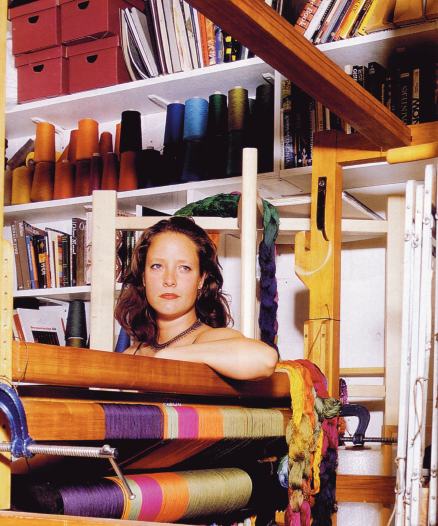 And she flexes her mental muscles too; since graduating from the Royal College of Art in 1997, Mann has also become a respected color consultant. Architects and interior designers seek her guidance on both interior and exterior color statements. Specializing in healthcare settings, she's used the power of color to help stressed hospital visitors find their way through corridors, and to help patients feel more at ease. On top of all that, her rose-geranium cake -- said to make men weak in the knees -- has been featured in The Sunday Times. 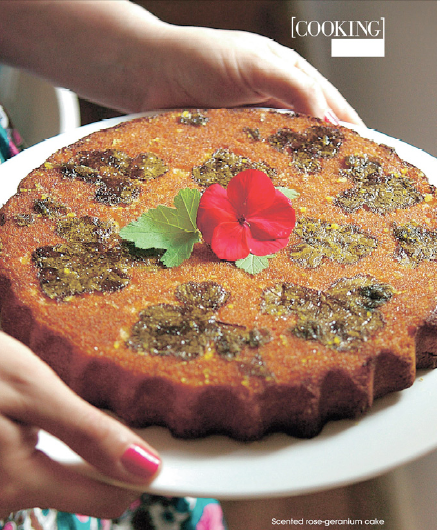 More on the very grown-up cake here. 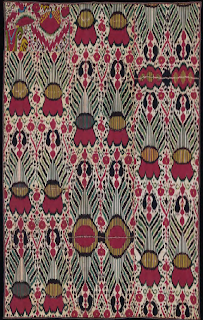 Click here for more on Colors of the Oasis: Central Asian Ikats. 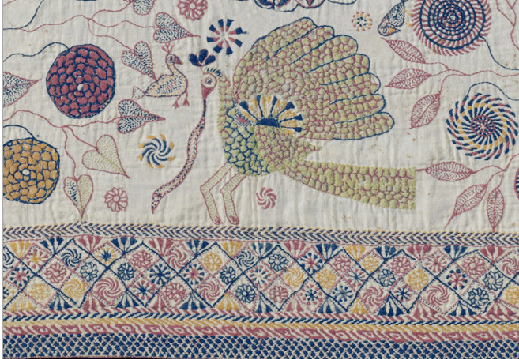 Friendly reminder: there's a little over a week left to see how some Bengali women expressed their creativity and told imaginative stories using a needle and thread in the 19th and early 20th centuries. 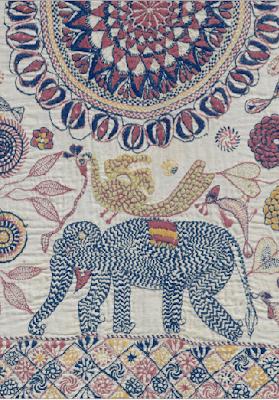 Forty kanthas (embroidered quilts made with recycled remnants from old clothes) are on view through July 25 as part of Kantha at the Philadelphia Museum of Art. 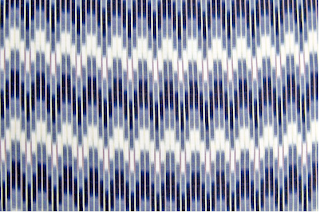 New to my sidebar list comprised of what I hope are useful links is Textile Muse. This free online research tool enables everyone to explore the vast collection of the Jenkins Library at The Textile Museum in Washington, D.C. I receive a lot of email related to the right-hand column, so once or twice a year I put my long-time readers to sleep by sharing a repeat explanation for the newcomers. Basically the sidebar has been evolving here for over four years. 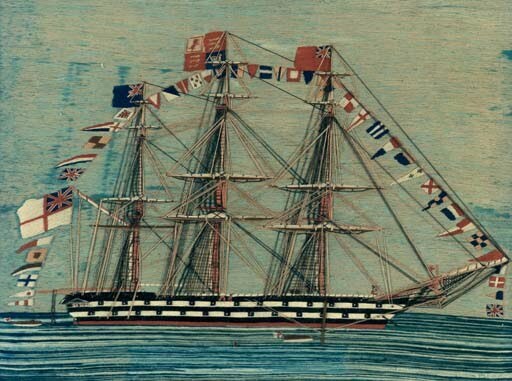 I try to keep it filled with educational links but some images and/or sites are added just for the joy of it. Case in point: The Society Inc.'s red door, via Anthropologie, with a corresponding link to the web feature, Into the Lighthouse. Recently I read something over at The Anthropologist that happens to sum up the main intent behind SC's list. I'm paraphrasing, but the gist was that sharing sources of creativity usually sparks it in new places. And, truth be told, the search box at the top of the blog can be hit or miss so I'm heavy-handed with my label list. I access it myself nearly every day to find an older image or link. 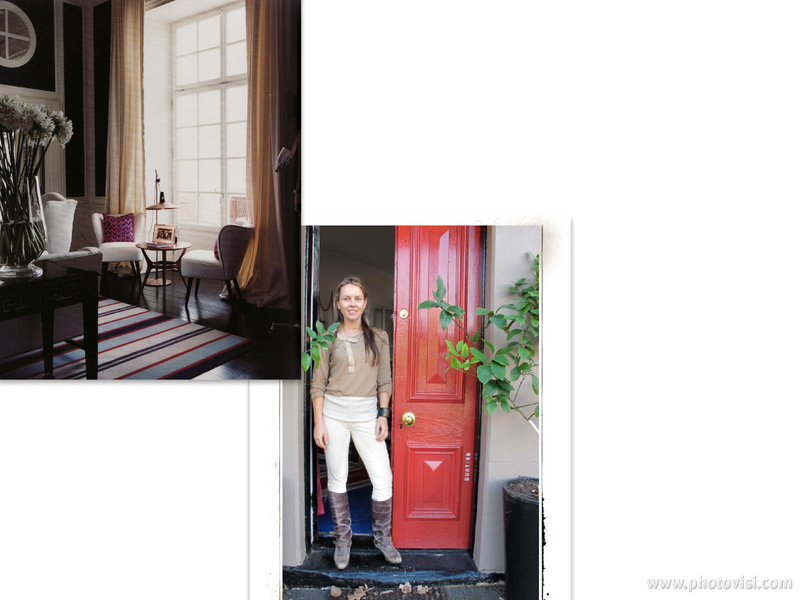 Last night I was searching for a specific shot of this boutique hotel's interior taken by David Cicconi and published in Meg Nolan's 2008 book, Italian Hideaways. Hope one of the links lights your creative fire. Speaking of sharing, Janet Blyberg, perhaps the most generous woman in the blogosphere and a never ending source of inspiration, just sent me a link to a new exhibition of Persian art at The Art Institute of Chicago. Related post: A World of Our Own Invention.